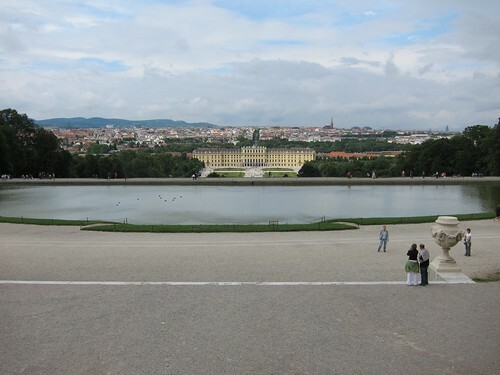 Phil's Occasional Musings: Vacation report, part 8: Vienna! 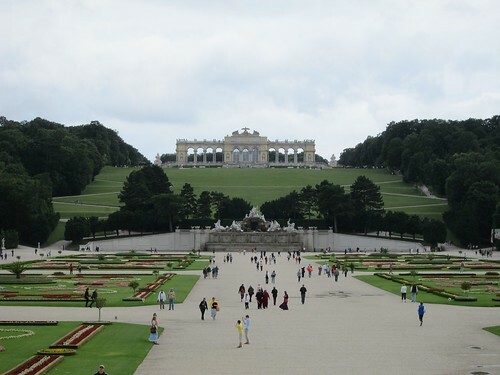 I set out as early as I could on Saturday, determined to see as much of Vienna as I could. 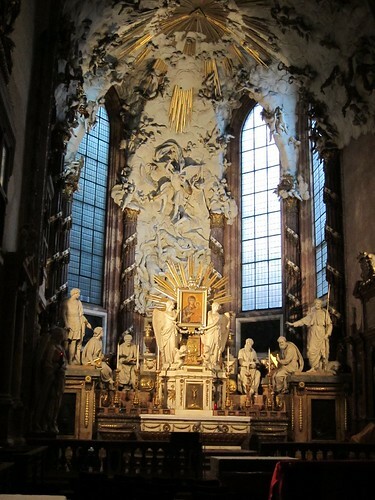 My first stop was Peterskirche (St. Peter's Church). 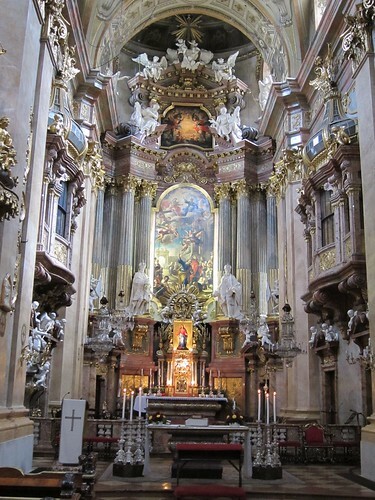 I had to wait until Mass ended before I could take photos of the interior. There was a guy sitting at the desk just inside the door who gave me the "stink eye" as I stood in the back waiting for the service to wrap up. 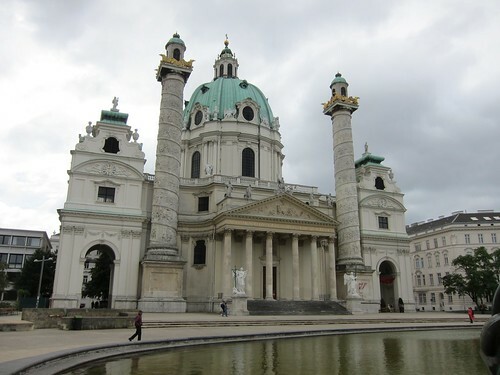 Next up was Karlskirche (St. Charles' Church). 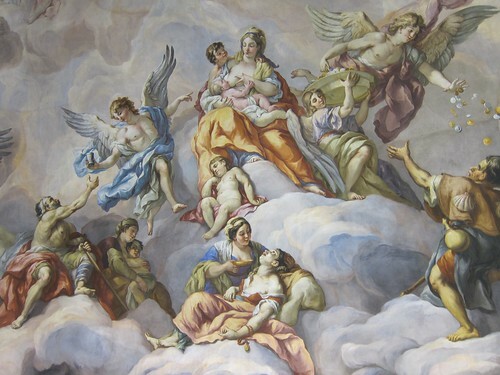 The frescoes on the ceiling were unbelievable. 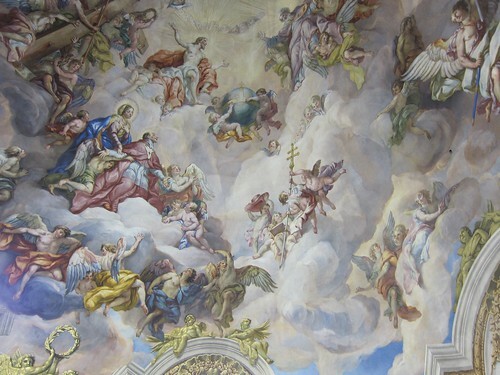 The church was undergoing renovations but they had an elevator in the middle of the nave that took visitors up to the top of the dome for close-ups of the frescoes and the view from the top of the dome. One unique feature of the dome was the "whisper" effect of the acoustics. I could hear two men talking on the other side of the dome, 40 feet away, as if they were standing next to me. 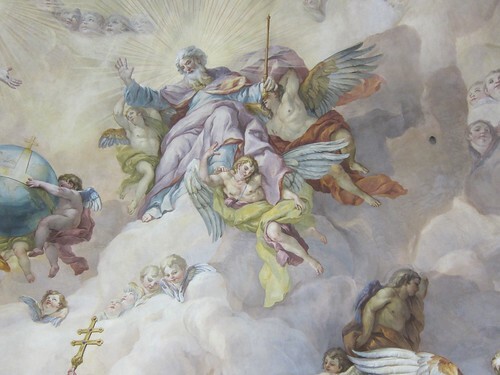 It reminded me of the dome at St. Paul's Cathedral in London, which had a similar sound effect. 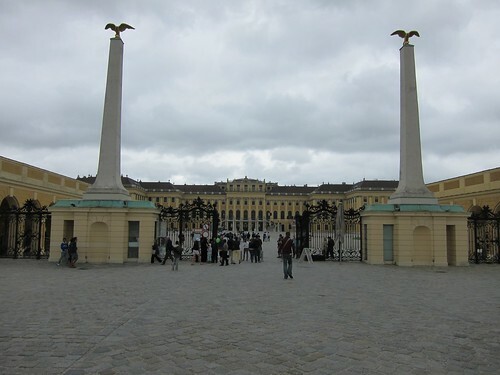 I wandered through the Naschmarkt for lunch, then hopped on Vienna's subway system for a visit to Schonnbrunn Palace, the former summer residence of the Habsburg dynasty. 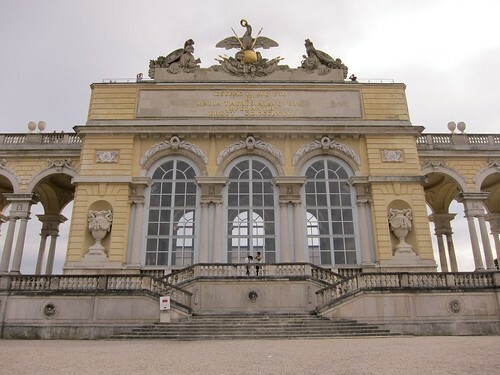 I'd skipped the Imperial Apartments at the Hofburg on Friday, but I was not about to miss the apartments at Schonnbrunn, including the famous Mirror Room where a six-year-old Mozart gave his first performance for Empress Maria Theresia. I admit that I got chills standing in the same room where Mozart once stood. Yes, I'm that geeky. 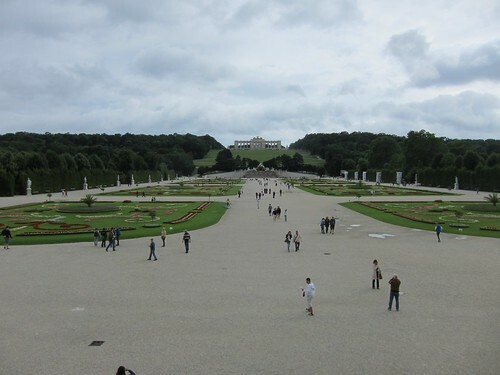 I lingered in the gardens and "backyard" of the palace, marveling at how royalty used to live. Who needs that much house? 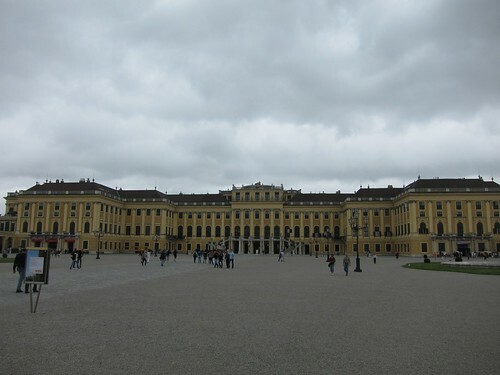 According to the audio guide, the palace used to require over a thousand servants to maintain it. It's good to be the emperor. 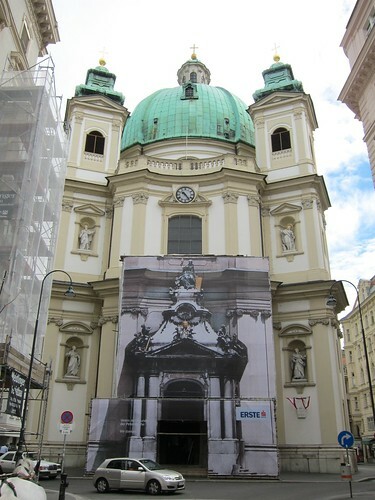 My legs were starting to give out on me, but it was only 6 PM and I hadn't heard a concert in Vienna yet. I took the subway back to central Vienna and meandered back to my hotel past several more churches, most of them closing for the day. I was able to see Minoritenkirche inside and out, and as I passed Michaelerkirche I saw that they offered a free organ recital at 8 PM that night. Score! 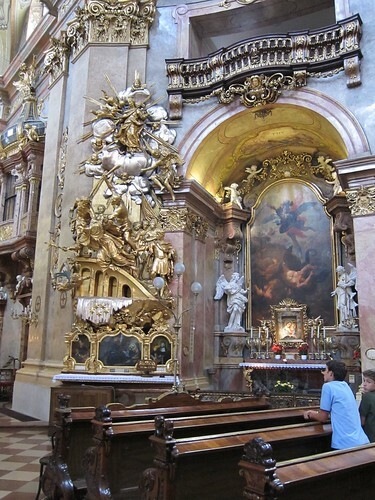 The organ in the church was built in 1714 and it is the oldest working Baroque organ in Austria. How could I pass up a chance to hear it? 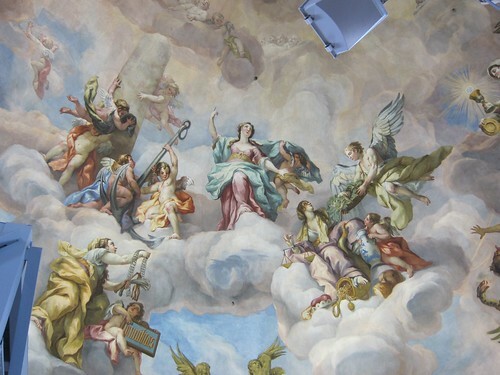 The recital consisted of music from before 1700 and included a soprano soloist. 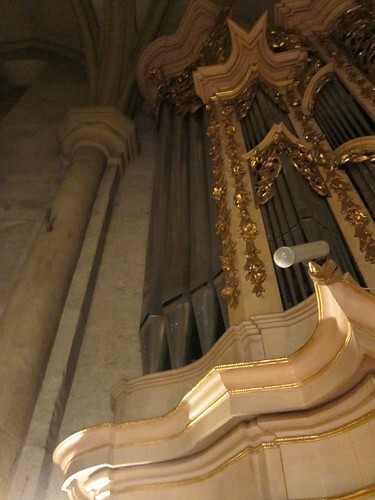 The organ sound was sublime, almost ethereal. The bass notes didn't shake the floor like the organs I've heard in the United States do, but they're all of Victorian or later vintage and I suspect that the massive organ sound I'm accustomed to is a product of that era. 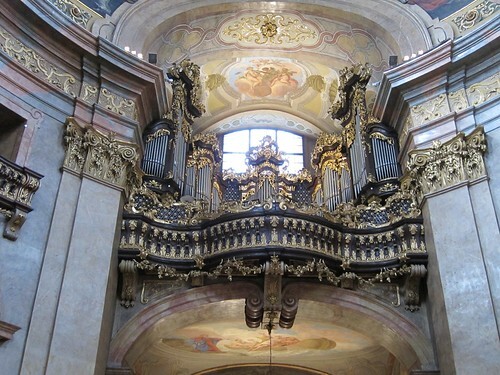 I imagined that this was the sort of organ Bach would have played for all those cantatas he wrote in Leipzig. There was a church employee (the "MC") who introduced the soloist and the music and told us a few "fun facts" about the organ and the church. 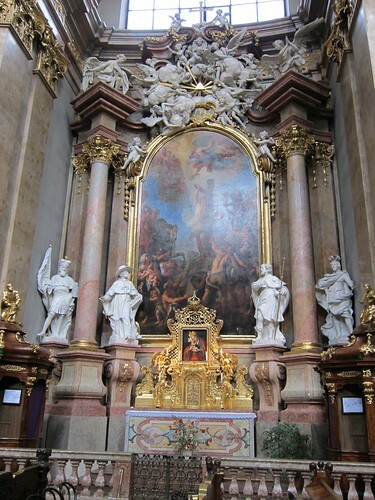 He said that Michaelerkirche was the site of the first performance of Mozart's Requiem in December 1791, and that they think that Haydn himself used to play the organ at the church as he lived nearby. 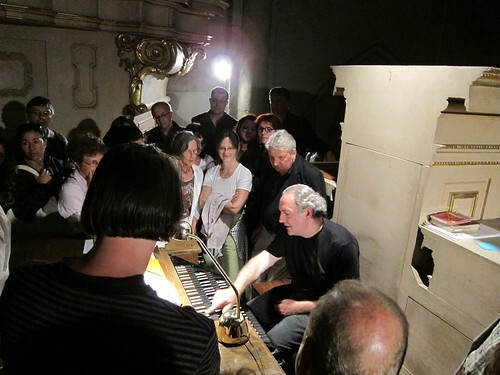 After the recital the organist invited the audience up to the organ loft for a tour and a demonstration of the workings of the organ. He only spoke German so the "MC" provided near-simultaneous English translation. I had the feeling these two had done this routine before. 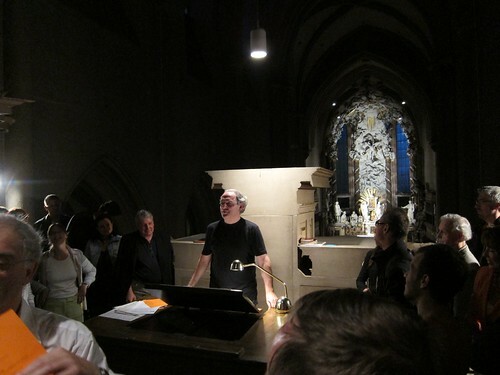 The organ console had a speaker on it so that the orchestra and choir (which would sit up in the organ loft as well) could hear the organ, much as monitors work for a rock band in concert. The soloist played a few measures of one of the pieces from the recital with all of us standing up there, so we could hear and feel the organ up close. The whole event was fascinating. I had dinner at Figlmuller's, the best restaurant for schnitzel in Vienna. I looked at the menu but didn't need it. A minute after I sat down the waiter brought the gentlemen next to me their food, and I said "I'll have what they're having." 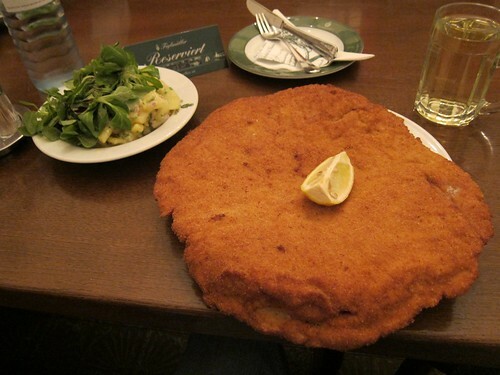 The schnitzel was so large it overflowed the plate it was on. And I ate every bit of it. The potato salad wasn't bad, and I liked the bits of watercress that served as my vegetable for the day. I wandered around for a while, soaking up the environment and letting my dinner settle, before stopping at a cafe for a beer and dessert. Surprisingly, the sugary Sacher torte didn't keep me awake late that night. I slept well after all that walking around. 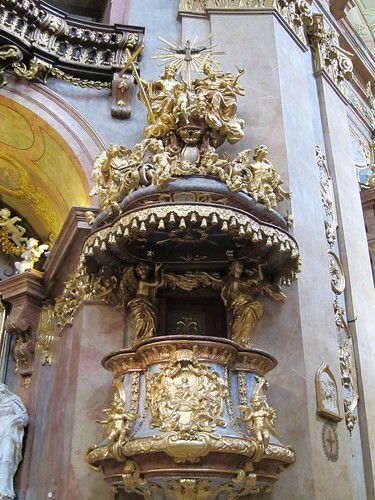 I enjoyed reading about your Vienna experience and seeing your pictures. I was there in late Feb. 2007 and loved it! I would love to visit again when it's warmer out for a different experience. 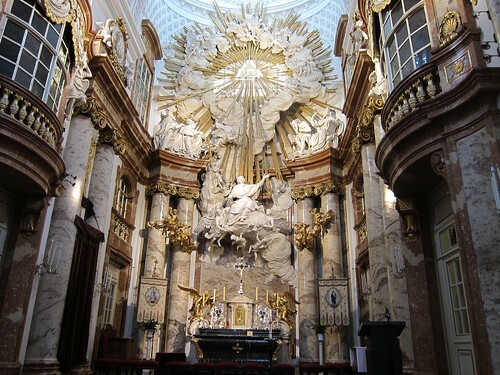 Vienna has lots of historical holy places. We used to travel there every 3 years during the holy month.